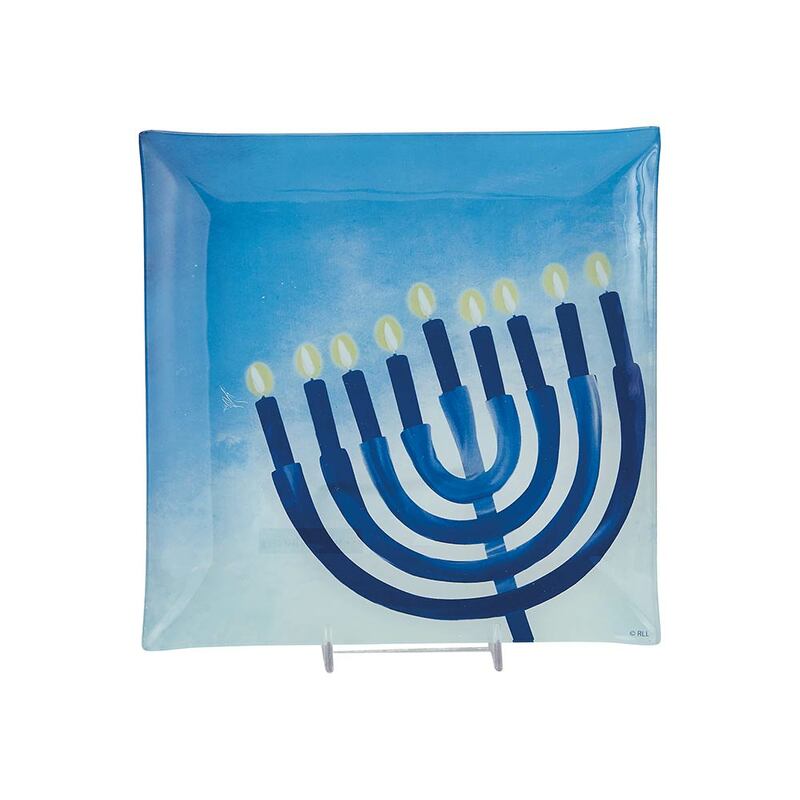 Square glass Hanukkah theme serving tray from the Sapphire Collection. A durable and practical tray in a medium size, use as a centerpiece or as a gift tray. Makes a bold and jubilee statement. Comes in Gift box.